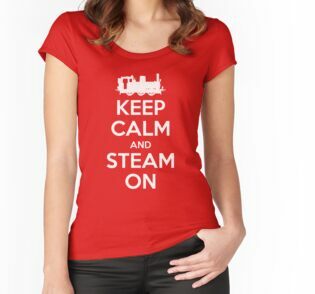 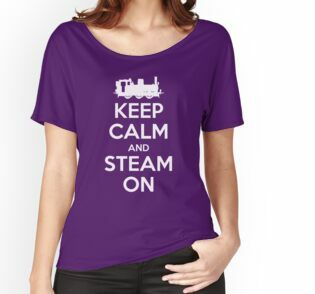 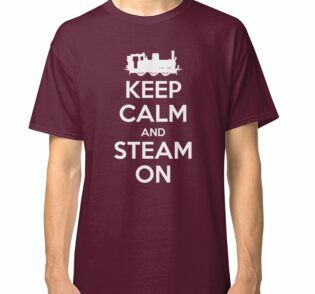 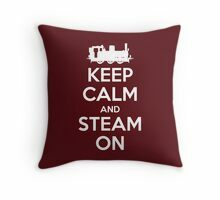 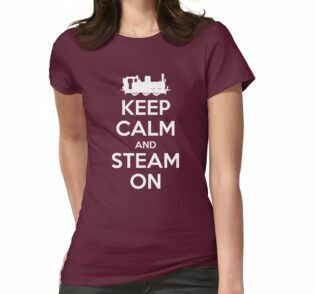 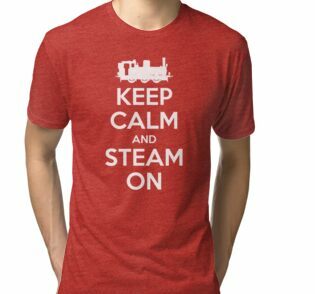 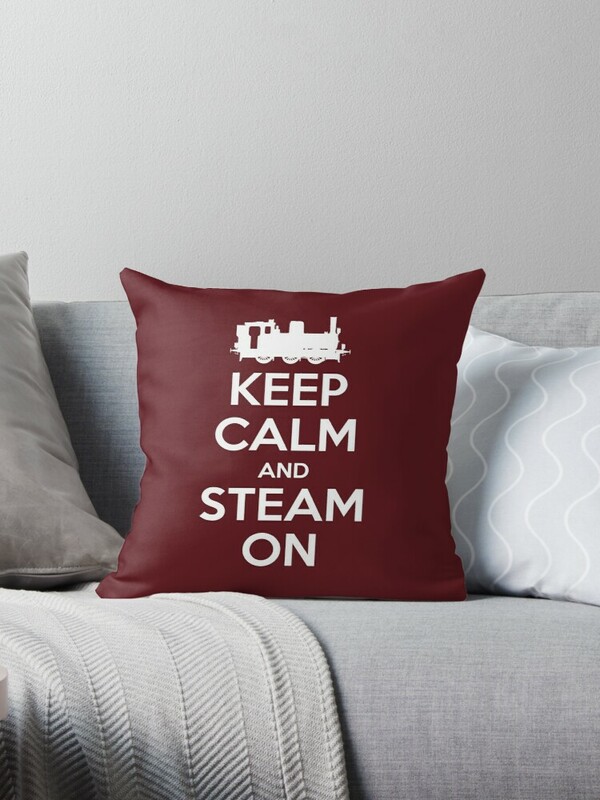 Keep Calm and Steam On! 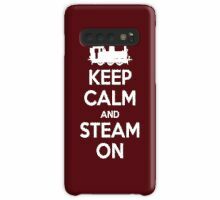 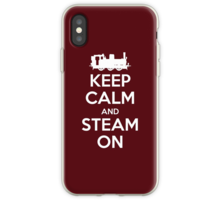 a steam inspired take on the famous WWII ‘Keep Calm and Carry On’ posters with an image of a small steam engine replacing the traditional crown logo. 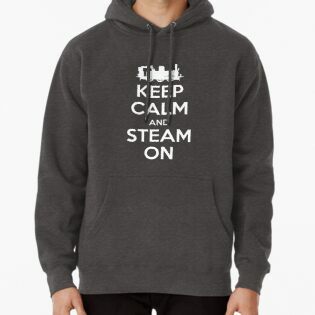 This version of the design uses a typeface similar to that of the original poster and is in plain white as per the original. 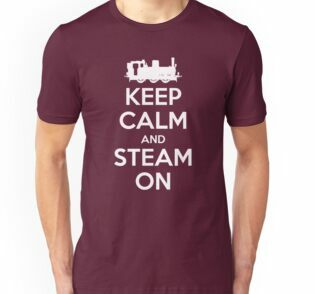 I’ve chosen a colour which to me is reminiscent of the period and is also a fairly typical colour for steam trains of the period.